Fashion and art used to go abreast of each other from the ancient times. In the result of this collaboration we get the striking garments with original shapes and decorative elements. 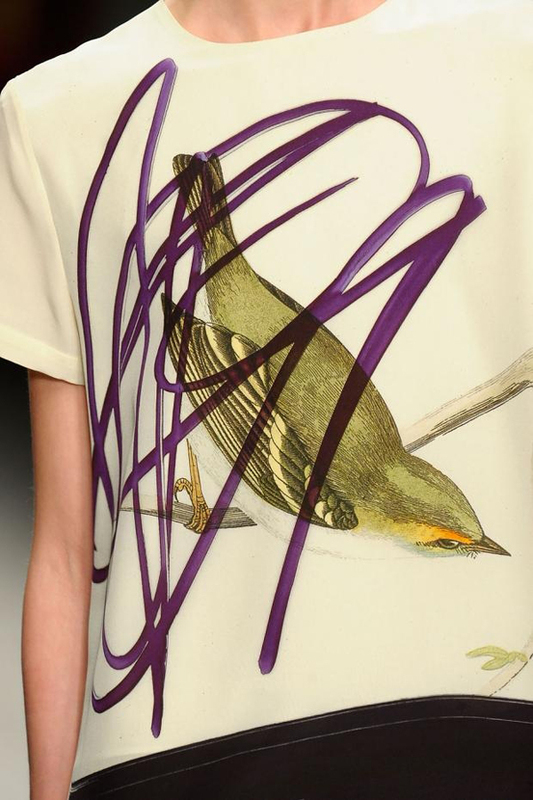 For the spring 2013 fashion season designers encourage introducing creativity into the simple garments, which could be expressed through the original prints. This coming season the distinct patterns promise to become the hottest trends in women’s fashion: simple ones or patterns that remind of the painter’s strokes on the blank canvas, colored either in the subdued pastels or in the bold fluorescent hues. For the last couple seasons more and more fashion designers demonstrated their love to the statement prints by incorporating them into their collections, where they really let their imagination grow. In the result we get the fashion creations with the true work of art. Opposing to its signature aesthetics, The Blonds introduced the stylish and contemporary prints into its spring 2013 collection. The range of brush strokes appeared against the plain black background. 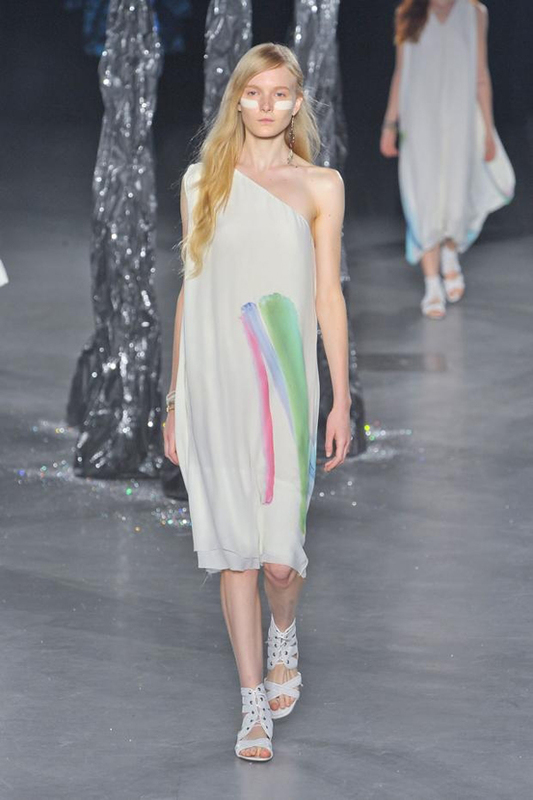 Antoni & Alison’s spring 2013 collection incorporated the bold brush strokes, which were used to adorn the plain silk garments in the original and unique ways. In the spring 2013 collection Cedric Charlier used the white background, which served as a perfect base for telling his story. In the result the pain strokes on the garments helped to accentuate the delicate asymmetry and the flawless draping of the creations. Carolina Herrera decided to introduce some light and soft lines in her spring 2013 collection. So we got the range of unearthly paint strokes printed on the transparent chiffon, organza and tulle. The range of playful patterns perfectly complemented the collection’s signature simplicity and airy vibe. 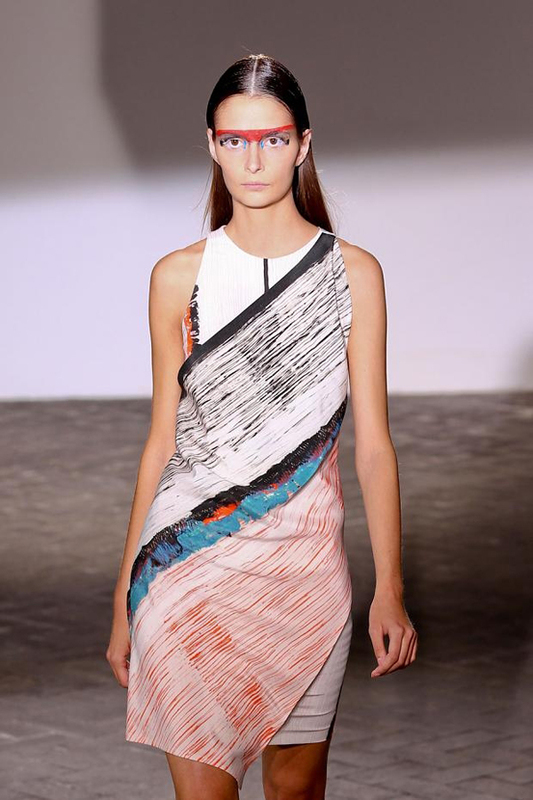 Scott Sternberg presented his own vision of the colors of war by adding the range of the war paint strokes on the plain garments. Rucci managed creating the beautiful collection of the evening gowns, which stood out with the exquisite selection of prints on the high end fabrics. 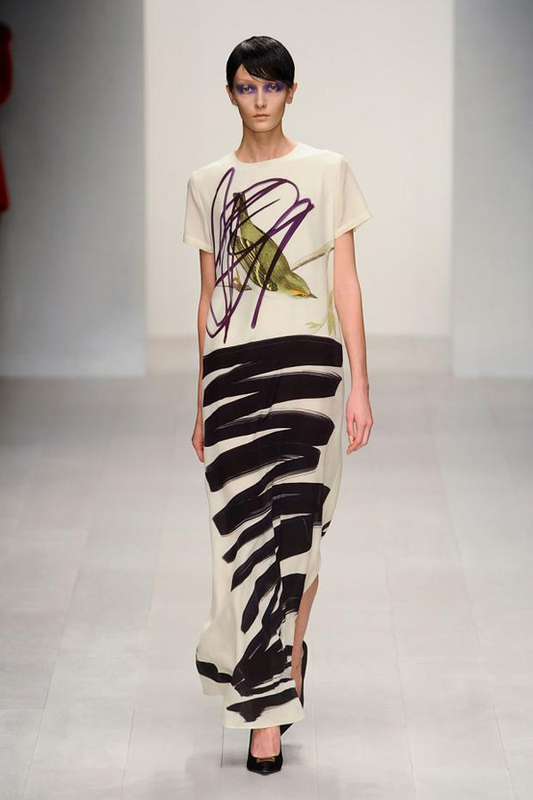 The elegant brush strokes on the refined evening gowns became the real spotlight of the show.